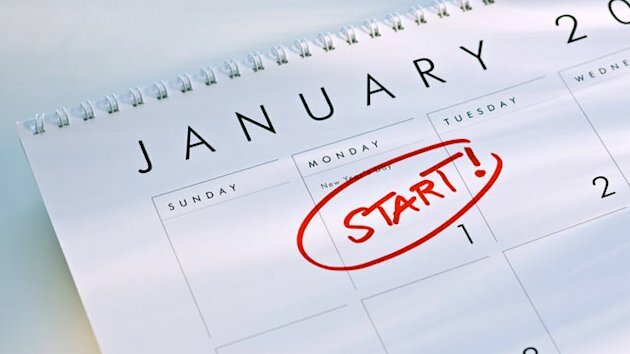 For most people, the beginning of a new year feels like the perfect opportunity for a fresh start. We set resolutions for ourselves to purge bad habits, and begin new routines. The new year is also a great time to put some attainable artistic resolutions in place. Nevertheless, New Year’s Resolutions are easier to make but much harder to keep. That’s why for some, it might be simpler to turn those hard-to-keep artistic resolutions into achievable New Year’s Goals. I have learned that no matter how well-meaning a resolution may be, it often sets us up for failure. After a few days or weeks of resolute behavior, we can slip and fall back into old habits and patterns. On January 1 we might vow to draw more (plus cut-out sugar), but then we find ourselves putting down the sketchbook, and picking up a pack of Oreos instead. The next thing we know, we are dunking Oreos in milk while watching How-To Youtube videos rather than doing it ourselves. We’ve just blown our New Year’s Resolutions at one fell swoop (ok…that was an exaggeration, but you get the idea)! In other words, many of us break our artistic resolutions, and give up – this causes a sense of failure. However with a GOAL, we can lighten-up on ourselves if we slack-off. We have the whole year or more to meet that goal, even if we slip-up for a day, or a week! Maybe you are a closet artist – someone who dreams of an artistic career, but the idea seems too overwhelming. Maybe you are a frustrated artist who has to work a ‘real’ job, or you struggle balancing parenthood and an art career with no time or place to create. A strict resolution might just seem too impossible to keep, so shift your thinking to attainable short-term and long-term goals instead. Short-term goals are aspirations that we will achieve in the near future (e.g., in a day, within a week, or possibly within a few months). Long-term goals are aspirations that we will achieve over a longer period of time (e.g., possibly six months, a year or more). Long-term goals often are our most significant and important goals. One problem, however, is that the achievement of these goals is usually far in the future. As a result, we often have trouble staying focused and maintaining a positive attitude toward reaching these goals. This is why it is helpful to set up what we call enabling goals. Enabling goals are a special type of shorter-term goal which help us achieve our long-term goals. Enabling goals are the building blocks that measure our progress as we strive to meet our longer-term goals. Even established artists can use the new year as a time to refine and set their New Year’s Goals. In fact, I am excited about my own new short and long-term goals for this new year. I hope this different way of looking at resolutions helps you keep yours! Do you like this thought? *Let’s meet on Twitter, Google Plus, Pinterest, and join in the fun at Fine Art Tips Facebook Fan Page! Please checkout my art at LoriMcNee.com, or find me on Instagram lorimcneeartist and StumbleUpon too! I wish you an arty new year with lot of goals !!! A good post. I find it difficult getting back into a routine after the holidays. I find long walks help blow away the cobwebs.